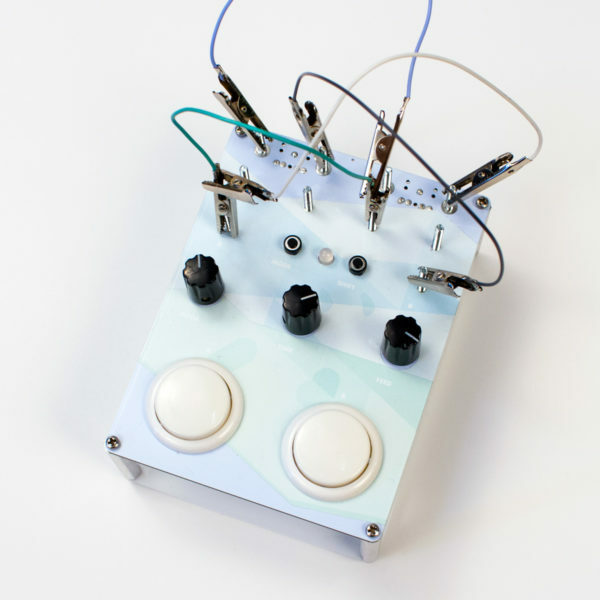 Daedelus + Bleep Labs. Play/Sample/Delay your audio world. Limited edition device available in 2015. Brought to you by Daedelus & Bleep Labs with graphic design by Trek Matthews. 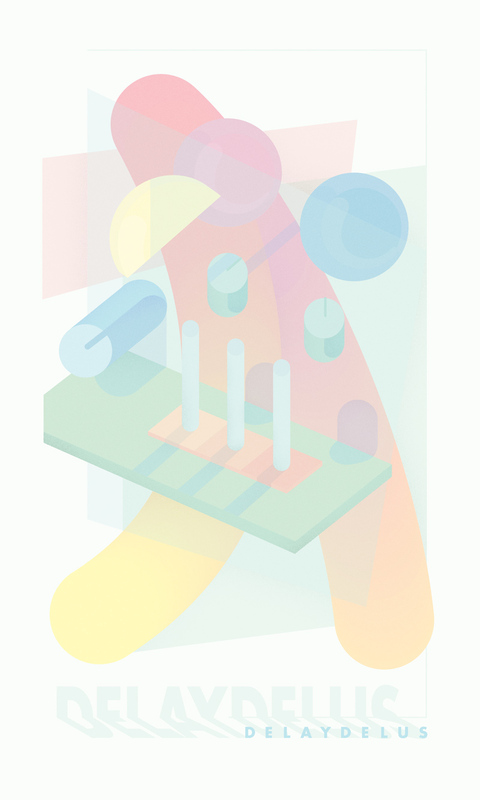 – Beautifully crunchy 12bit, 30kHz audio. Mono in and out. 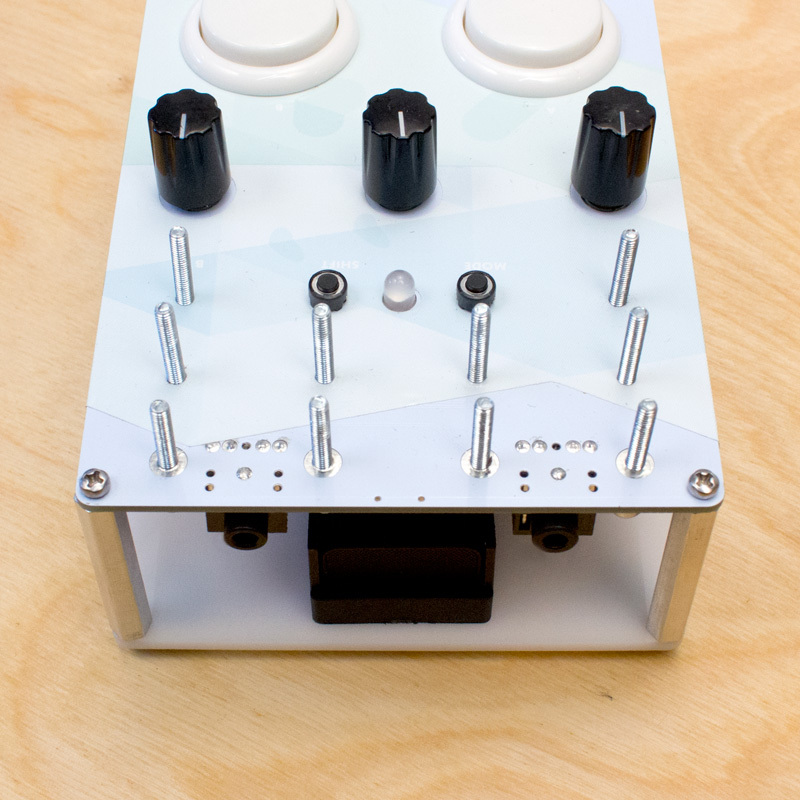 The Delaydelus was a limited edition device available in 2015. Daedelus and Dr. Bleep are designing some new devices, though. Sign up for our mailing list or follow us on Facebook or twitter for updates. Can I put my own sounds on it? Will it erase Daedelus’s? The device has 8 permanent banks and 8 user ones. When you record to a “pin” the default sample is not overwritten and can be switched back to. All samples are retained when power is turned off. Check out the user guide for more info. How do I reprogram it? The device was designed using the Teensy 3.1 and can be programmed using the Arduino IDE. We’ll be releasing a USB adapter to allow reprogramming and MIDI control before the preorder is finished. More info in the user guide. The original idea is by Alfred Darlington, aka Daedelus. Code and hardware design by John-Mike Reed, aka Dr. Bleep of Bleep Labs. Trek Matthews contributed the device’s artwork. 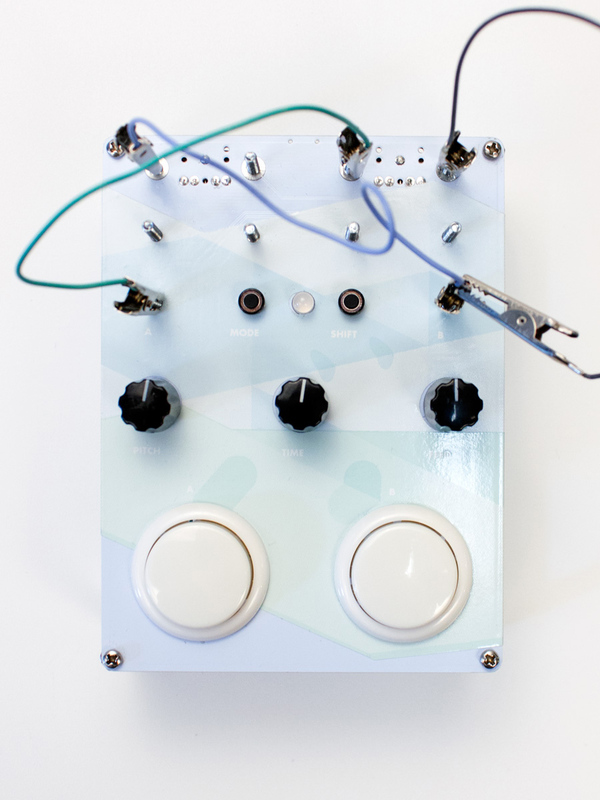 Bleep Labs will be doing final assembly and fulfillment in their Austin workshop. WMDevices in Boulder is handling SMD assembly. The Delaydelus comes fully build and ready to make noise. Only a 9v battery is required. Are the images and video of the final version? The are of a prototype that is very close to the final version. The production model will only have a few minor changes.